Elegance and comfort are the main things that your visitors need to term your event as a success. Luckily our tent hire service offers just that – and we are giving you a chance to get them at an affordable price. Whether you need tents for parties, weddings, school events or social and religious meetings, we are available at your service. We boast of the best marquee & tent hire Garden Route and we look forward to making your event a huge success. 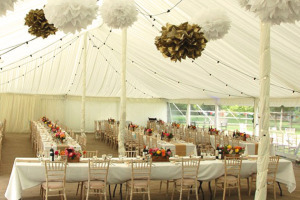 You will be spoilt for choice when it comes to settling for the best tent for your event. Our 100% waterproof tents are suitable for any occasion. There is no reason for you to worry in case it gets windy, sunny or rainy during your precious function. Make your event a successful one and get the best marquees for hire in Garden Route. Our team offers delivery, assembly and collection services. From the moment you make that all important call to our Garden Route team, your tent will be ready whenever you need it. We also offer décor and drapery services to give your event and function the perfect look and feel. Get in touch with us on 021 300 3641 for quality stretch tents for hire.